The advanced technology we use here in our Greenwich dental office will help make your treatment faster, more comfortable and more accurate. CEREC is an acronym for Chairside Economical Restoration of Esthetic Ceramics. It is a computer based program that uses 3D images to design and manufacture dental porcelain. This technology has been available for over 30 years now, and has been used in my office since 2009. Use of this technology allows us to make highly esthetic crowns, veneers, bridges, and implant crowns in a single visit. There are no trays with impression materials, nor temporary crowns and such that need to be made. 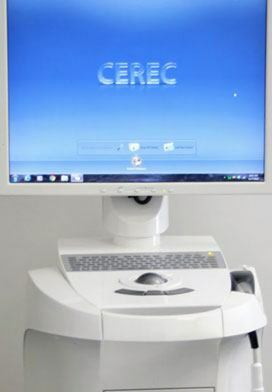 The CEREC system can also be used for Invisalign and for making night guards, snore appliances, and whitening trays. The cone beam allows us to take 3D x-rays of the mouth. This has allowed for enhanced diagnosis of a variety of dental conditions. Better diagnosis leads to more predictable treatment, and there are many times when we are able to establish a diagnosis without resorting to a “watch and wait until it hurts” approach, or a “let’s get you numbed up and drill your tooth or cut into your gums to see what is going on” approach. The cone beam is recommended as part of a new patient examination. We utilize the services of a radiologist to help us review these 3D images. Our office is one of the first general dental practices in the town of Greenwich to utilize this technology. We utilize digital sensors and a handheld x-ray device to assure our patients that they are getting the lowest exposure to radiation possible. This combination was selected after many hours of research to answer the question, “what would you use on your own family?” Digital imaging also eliminates the need for chemicals to develop traditional dental films, and the images are available immediately. 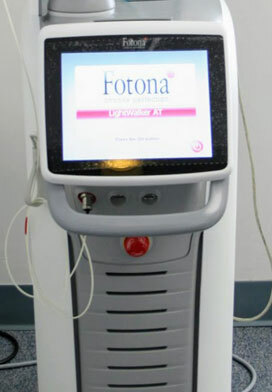 Our office utilizes the Fotona Lightwalker laser. This has allowed us to treat cavities without the use of a drill, and with minimal or no local anesthesia. We also utilize the laser to treat canker sores, cold sores, and gum disease. We have also used it to treat some forms of TMJ pain, and to alleviate some forms of snoring. The Wand is a machine that allows for virtually pain free local anesthesia. This machine, when utilized with our custom made topical anesthesia provides local anesthesia comfortably without the use of a traditional syringe and needle. We have had many patients comment, “what was that? I didn’t feel you do anything!” after using this device. We have a camera in every room that will photograph images of your mouth. It is our belief that our patients and staff should be “on the same page” when it comes to your dental health, and these cameras will allow our patients to see what we see so that we can arrive at a diagnosis together.